(Reuters) – A Tunisian policeman was killed and another wounded on Thursday when security forces clashed with Islamist militants on the outskirts of Tunis, three days before parliamentary elections which voters hope will help them advance toward full democracy. 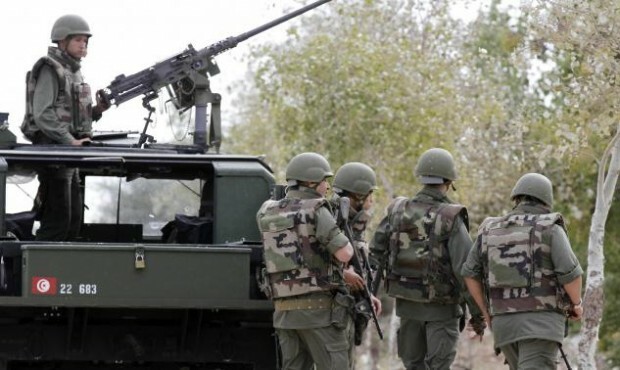 Police negotiators in the suburb Oued Ellil to the west of Tunis were trying to persuade militants to give themselves up after the house they were in was surrounded following heavy exchanges of gunfire, officials and a Reuters witness said. Heavily armed security forces used tear gas and stun grenades to try to force at least two suspected militants out of the house, in which officials said several women and children were being held.